Ald. Pat Dowell (3rd) introduced legislation Wednesday proposing $11 million in TIF funding for the new South Loop Elementary School. SOUTH LOOP — City Hall seeks $11 million in tax-increment financing funds — more than previously reported — to build the new South Loop Elementary School. Ald. 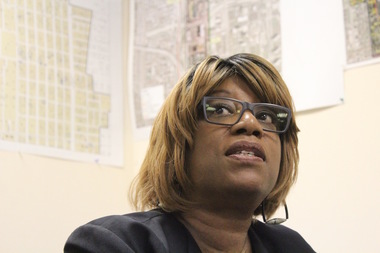 Pat Dowell (3rd), whose ward includes the grade school at 1212 S. Plymouth Court, introduced legislation Wednesday that would reimburse Chicago Public Schools for building a new South Loop Elementary at 16th and Dearborn streets. The Board of Education voted in May to acquire the site — a vacant post office facility — to address overcrowding at the neighborhood school. At the time, the board said the project would require $8.7 million in TIF funding. TIF districts capture all gains in the property tax base for a designated area — diverting revenue from other local taxing bodies including school districts — and place it into a special fund for projects meant to spur redevelopment in blighted areas. The method is heralded as an economic engine by some, but decried as a "slush fund" for politicians' pet projects by others. Dowell's move follows years of complaints from South Loop parents who have implored CPS to address overcrowding at their neighborhood school. South Loop Elementary opened for 580 students in 1988, but now has 839, according to CPS. And the South Loop, one of the few city neighborhoods growing in population, is slated for thousands of new homes arriving in the next decade. The new South Loop Elementary, whose total cost is pegged at $55 million, will accommodate up to 1,200 students. There are no current plans for the existing school building once the new South Loop Elementary is built, principal Tara Shelton said.